Union Square Ventures (USV) is a VC fund based in New York, NY and was founded in 2003. Union Square invests in a wide range of companies including blockchain. Initially, Union Square Ventures focused on bitcoin but has since expanded to companies like Coinbase. Want more detailed information on Union Square Ventures and more than 180 additional crypto hedge funds and VC funds? Download the Crypto Fund List! 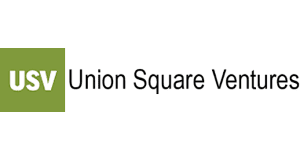 Want more detailed information on Union Square Ventures? Get 30+ categories of information on Union Square Ventures and more than 180 crypto hedge funds and crypto VC funds in the crypto fund list.